Every country has codes, every culture has codes, even as globalization washes over us. I offer these few don’ts, these non si fa (one doesn’t do this) behaviors that I picked up by doing them in Italy and learning, oops, non si fa. 1. 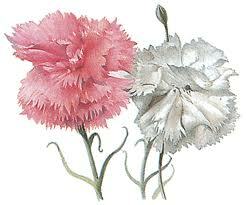 Do not give your mother in law a bouquet with carnations because these flowers are a sign of death. 2. Don’t drink cappuccino after noon because it’s a morning drink. 3. Don’t put parmesan on a fish pasta because non si fa. 4. Don’t pour wine backhanded, exposing your inner wrist. You may expose other body parts, if they’re attractive. 5. When four people are meeting and shaking hands, don’t shake hands over another couple while they are shaking hands (bad luck). 6. No matter how cold it is, take off your gloves before shaking hands. A little frostbite never hurt anybody. 7. In the south, don’t eat oranges after a heavy meal because oranges are “too heavy.” (I don’t get it, but I share it). 8. If you go in a bar in the evening for a pre-dinner drink and the bartender puts out cute little bowls with peanuts, little crackers, olives and potato chips, eat the potato chips very delicately, not in big bunches. Have one or two. Maybe three. 10. Whatever you are wearing, iron it. Don’t go around rumpled. You can do most anything else.